Subscribe to EYE and SAVE 25% this Black Friday weekend! This Black Friday weekend, we are offering a 25% discount on your subscription, giving you an annual saving of up to £41.25. Subscribe on or before 28th October to take advantage of this limited time offer. Use promotional code FRIDAY25 at checkout. 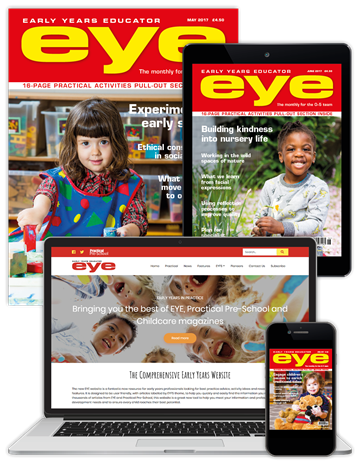 ​​​​+ Subscribe to our digital membership or full membership packages and receive unrestricted access to the new EYE website. 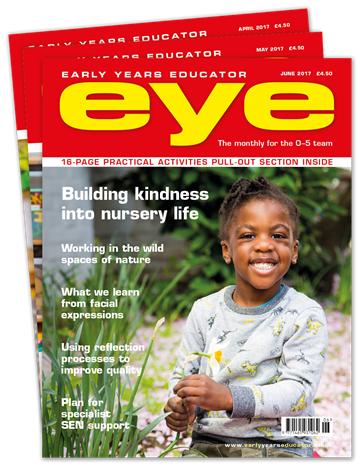 With thousands of articles from EYE and Practical Pre-School, this website is the comprehensive early years resource. * This offer ends midnight, 28th November. Please note, this discount does not apply to multi year or student subscriptions. EYE website only included with digital membership and full membership packages.